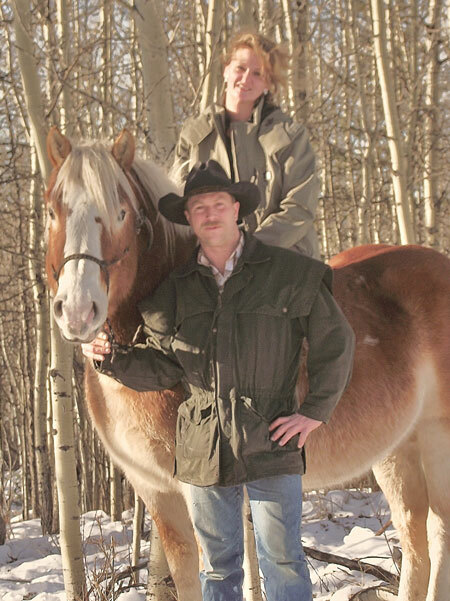 Chungo Creek Outfitters has been operating in the Nordegg area for over 17 years. The Chungo Creek family takes pride in helping to preserve the way the west WAS. We believe in carrying on the traditions of those who first broke the trails threw these mountain passes. In addition to horseback adventures, we provide various guiding services like jet boat tours, fishing trips and drop camps. We also have rustic cabins available for rent year round. We welcome people from right here at home to all around the world and we look forward to sharing a true Alberta experience with you. Drop us a line or give us a ring. We love to hear you. Looking for that special vacation getaway? You know the one you've always wanted to take. A pack trip in the wilderness where you can capture that award winning picture, observe the wild horses, fish the ultimate mountain lake or stream or sneak off for a romantic getaway, it's all here for you.